Off the coast of Madeira there is an incredible beach island called Porto Santo. As part of the Madeiran archipelago, this is a popular destination for those staying on Madeira, and is only a short journey away with just a 15-minute plane ride! Porto Santo is great for day trippers, known for its amazing 9km stretch of beach which runs almost the entire length of the east coast. It’s a quiet, unspoilt island, in fact the mountainous northern half is still uninhabited. At just 500 km west of the coast of Africa, the island has a really mild climate all year round, and the long east-facing beach is nicely sheltered. It is this which most visitors come to the island for. The beach is much longer than any of the ones in Madeira and it is less busy as well, making it ideal for those looking for a relaxing trip to the seaside. With fine white sand and calm waters it is perfect for sunbathing and swimming. Though the island is quiet, if you do fancy a wander while you’re there, Vila Baleira is the largest town and it’s here, on the east coast that you’ll find little shops and eateries. Though the archipelago had been discovered and even featured on maps before the 15th century, it is said that the island was rediscovered by Portuguese sailors in 1418 when their boat was blown off course and into the protective shelter of the island’s natural harbour. It was because of this that the island became known as the ‘Holy Harbour’ or Porto Santo. The island became home to Christopher Columbus when in 1479 he married Filipa Moniz Perestrelo, daughter of the island’s governor. The home that they are thought to have shared is now the island museum and displays a collection of maps, plans, diagrams and implements relating to the explorer’s life and work. 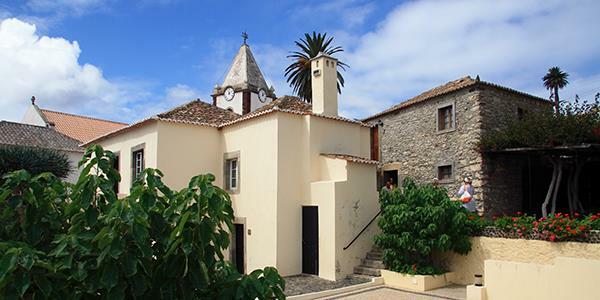 The museum, the Casa Museu Cristóvão Colombo, is located centrally in Vila Baleira and opens between Tuesday and Saturday from 10 – 12.30 and 2-5.30 pm. 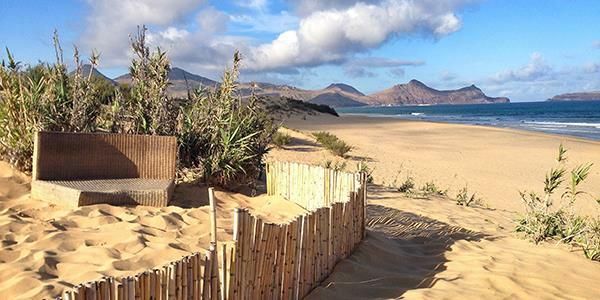 It’s located at Travessa Sacrestia 2, Porto Santo. To get to the island it is just 15 minutes to fly, and there are regular planes, especially during the peak season. But the more popular mode of transport is to nip across by ferry. It is usual for the ferry to set off from the Funchal harbour at 8am and return at 6pm. It can change with the season so it is best to check with them at the harbour when you’re there. Luci loves getting out and about for a good cycle ride or easy-going walks in the countryside, and thoroughly enjoyed the time she previously spent working for the National Trust. Her love of writing started from a young age and on rainy days nothing beats curling up in a secret corner with a good book.